No offense to online world Second Life, but my desire to exchange a life in this sordid world for a sparkling clean virtual life is starting to wane. 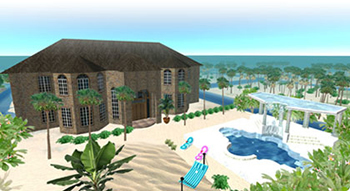 For those who joined the revolution late, keep in mind that Second Life is an online community that allows members to participate in a new world. Each member picks an avatar, a graphic representation of themselves, and then participates in a game-like world along with other members. Sounds like a great escape, right? Maybe not. It turns out that canny members can actually make real-world money off the online world. Members can create clothing, buildings, special features and more - and then charge other members in real money. Now, government economists are taking a close look at this money changing hands - and are wondering where their cut is. And, if that wasn't enough, it turns out that Reuters, the international news agency, has just opened a virtual news bureau. 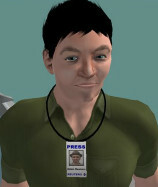 A correspondent will live the life of an avatar, gathering news. Adam Reuters will start doing what reporters do. Can virtual paparazzi and dunning tax collectors be far behind?